“Small but Mighty” This is how I would describe the team I work with. 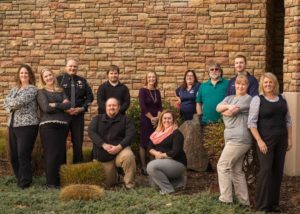 Our center dispatches for one-third of the State of Idaho for the Idaho State Police, Fish and Game, Idaho Probation and Parole and other agencies. We handle statewide Citizen Against Poaching calls, and assist with statewide entry of AMBER Alerts. These amazing telecommunicators are some of the best investigators. Our investigations division is so impressed with their abilities that they bring cases in to be researched by the dispatch center. The telecommunicators go above and beyond on all stops, running the registered owners prior to a drivers check, searching other agencies systems for cautions or other officer safety information. The caliber of work they provide sets a high standard. The telecommunicators also seek ways to give back to the community. They volunteer for a number of special events, have raised money for holiday events for charity, and teach child safety courses in the schools. If someone needs help, they band together to plan meal trains, do fund raisers or other events. On a recent stop a Trooper made a comment about a traffic stop he made, how the vehicle had broken down and the family had fallen on hard times. The six year old girl in the vehicle was having a birthday in four days. The officer commented to the dispatchers that the family had no ways of giving this little girl a birthday. The telecommunicators rallied and provided this little girl with one amazing birthday, as well as money for the family for food and other needs. These individuals are selfless and seek to help others. Our center not only works hard, we have fun while we do it. Telecommunicaotrs take turns doing months of fun. We play games, have celebrations, potlucks and other ways to celebrate holidays. One of our supervisors makes desserts for each telecommunicator on their birthday. Another telecommunicator celebrates each and every anniversary date. This center is amazing and deserves to have a special lunch provided.